JNN 23 Jan 2014 PARACHINAR: The Kurram Agency political administration imposed curfew in Parachinar, the administrative headquarters of the agency, on Saturday night for indefinite period to avert a clash between two rival groups in the town, officials said. 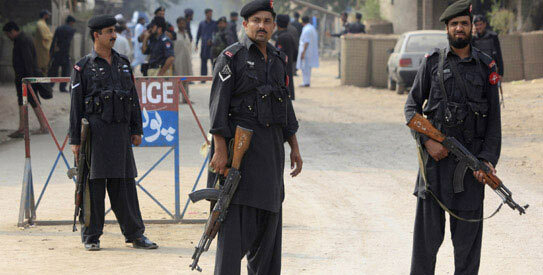 The administration also arrested 36 elders from the two sides and sent them to Bannu district jail. The officials said that the arrest of elders was made after talks between the two groups remained inconclusive. They said that tension mounted in the town after one group threatened to expel office-bearers of Anjuman-i-Hussainia from central imambargah and jamia mosque. Levies force has been deployed in and outside the mosque and the residents have been asked to stay in their homes. Sources said that efforts were underway to defuse tension and resolve issues through a jirga. An official of the political administration said that the curfew was imposed to maintain law and order in the town. This entry was posted in Asia Pacific, Pakistan News, Parachanar and tagged administration, administrative headquarters, FATA, indefinite period, Kurram Agency, pakistan, Parachanar, political administration, shia, Sunni. Bookmark the permalink.